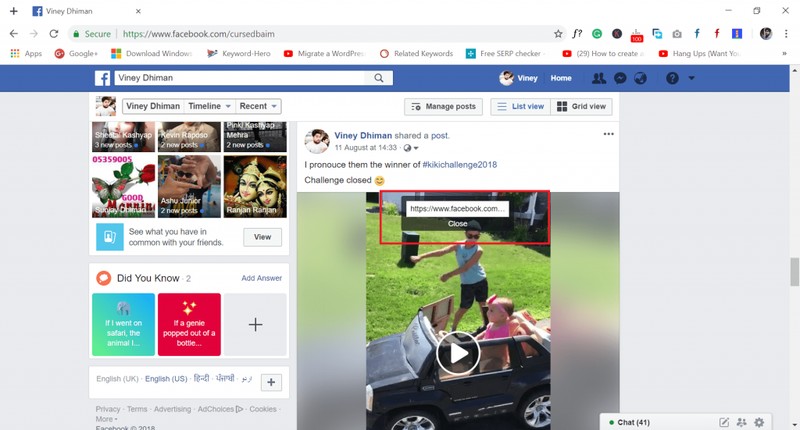 There are lots of Facebook users who want to know the most comfortable way on how to download Facebook Videos without software. The following blog post has a workaround to do so. Facebook is one of the famous social networking websites. You can get connected with your friends, loved ones and the people you know. It offers users a variety of features as you can share photos, videos, play games and lots more. What makes Facebook different from others is the variety of the content available on the site it includes pictures, messages, videos and even more. When it comes to download Pictures from Facebook one can easily download them by following the same right-click method. But the same is not in the case of Facebook videos. 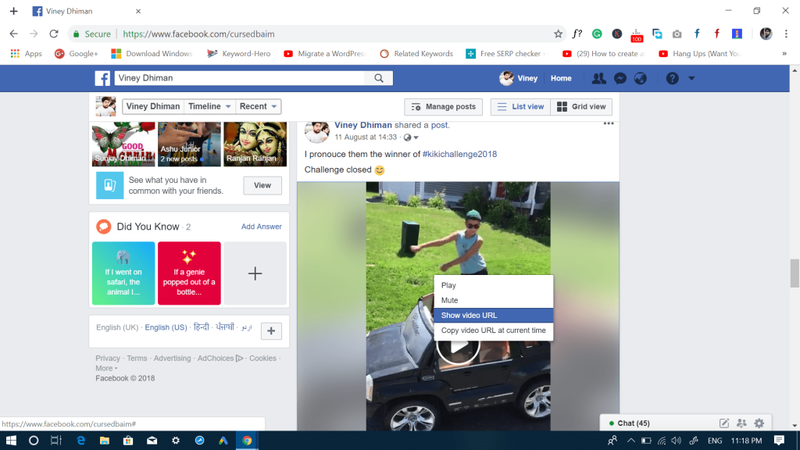 While scrolling down the Facebook timeline if you find any exciting video which you want to save in your computer hard disk, then the company has not provided the option to do so. Due to this reason, lots of users start looking for online and offline facebook videos downloader out of which most of them are full of adware & malware, while others are not safe to use. 1. In the Facebook timeline, scroll down to a video which you want to download. 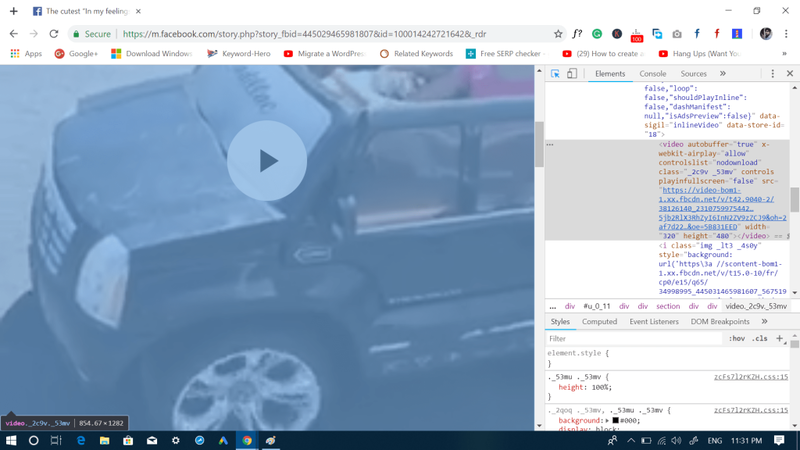 On the upper side of the video player, a bar will appear with the URL or address of the video. Copy the video URL from there. 3. 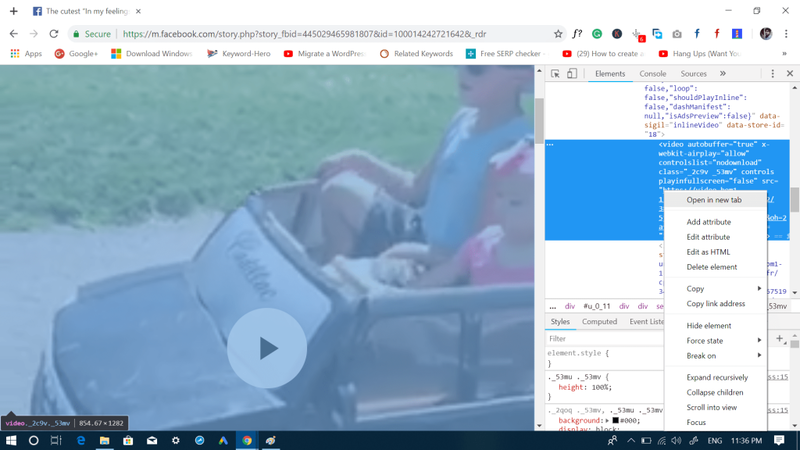 Open New Tab in the browser and paste the video URL. 4. In the video URL, you need to replace www with m and hit Enter. (Important Step) 6. Play the video on the Facebook mobile interface for two-three seconds and then Pause the video. 6. Next, Scroll down to video description part. Here, make a right click and select Inspect. This will launch the Developer option (At the bottom or right side). To quickly access the Developer options menu, you can also press the F12 key or Fn + F12. 7. 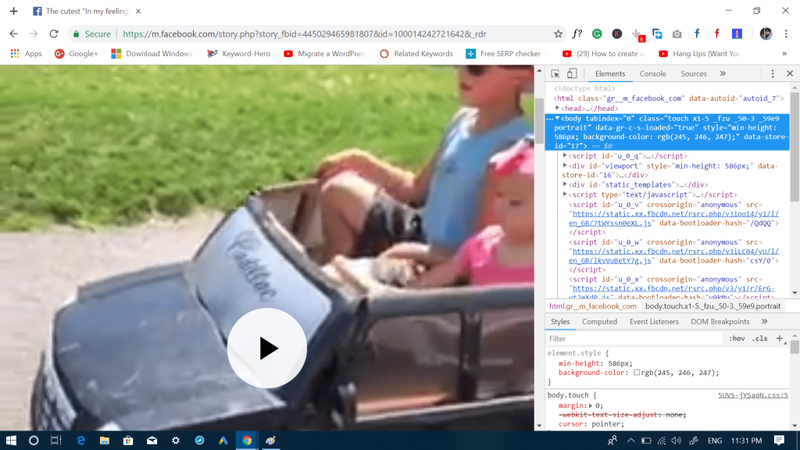 When Inspect Element is enabled, you need to hover the mouse over Video Player area and then make a click. This will highlight the code in the Element section of Developer Options. 9. 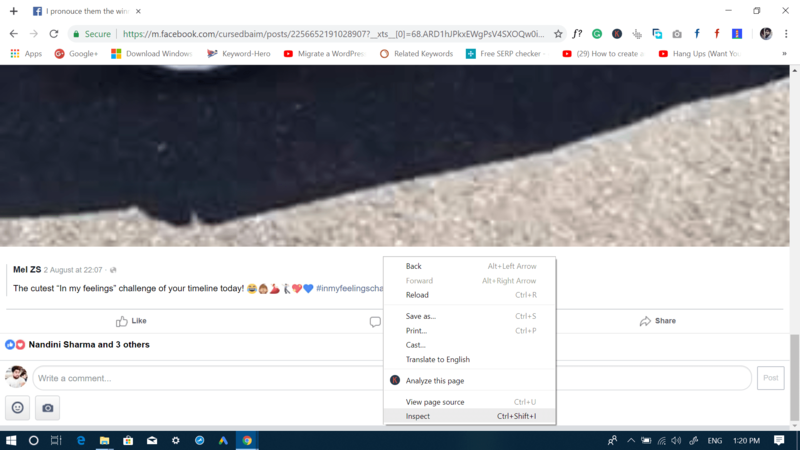 You will see the following screen in the New Tab of the browser. Here click on the More icon (three dots) and select Download. 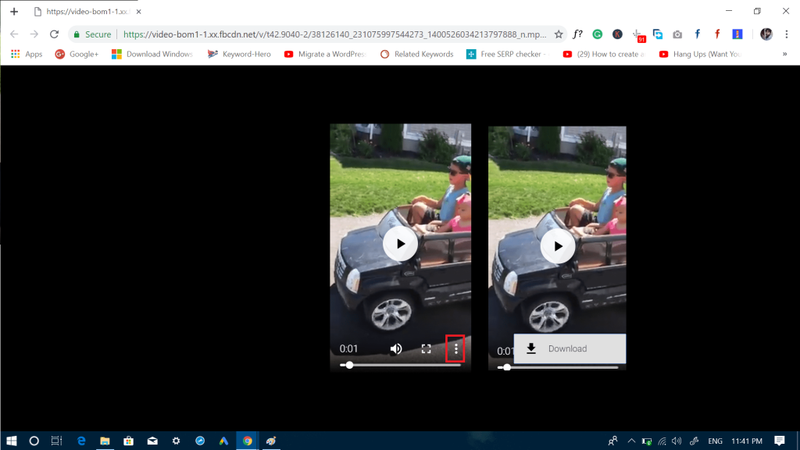 This download the video to your computer in .mp4 video file format. Once the video is download, you can rename it and save it wherever you want. 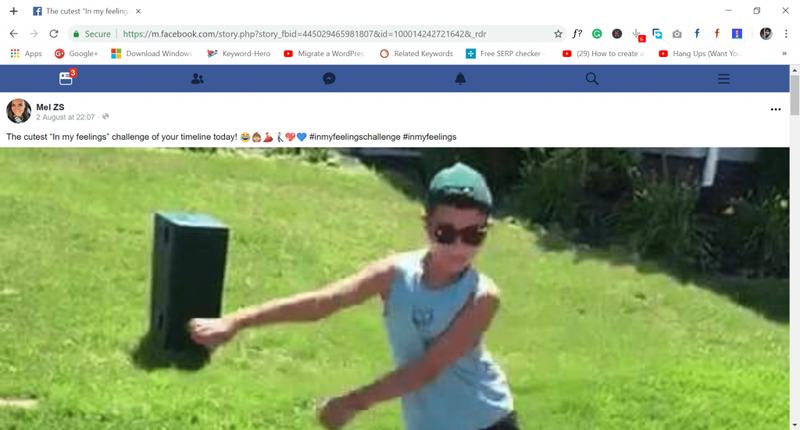 There are a variety of best Facebook Video Downloaders available on the internet which you can use to download Facebook videos in high quality. I will update the name of them in this article soon, after checking the Genuity of the tools. 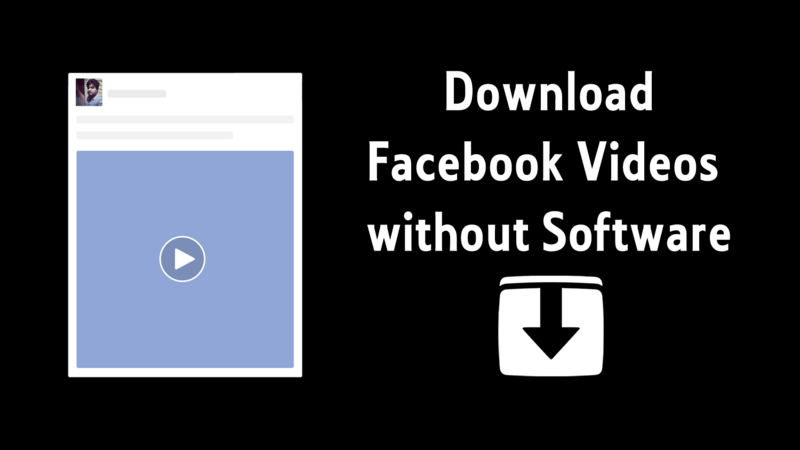 Find this trick on how to download Facebook videos without any software. Let me know your thoughts in the comments.